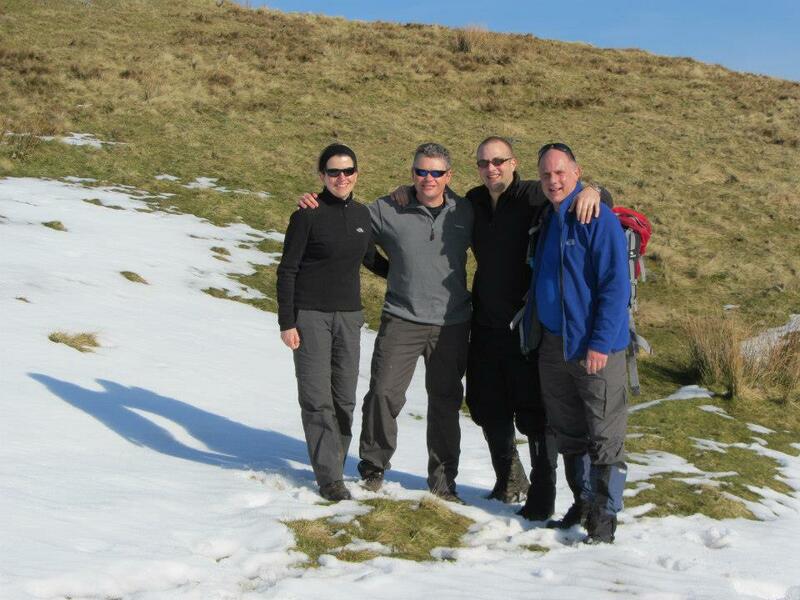 Last Sunday we were on our 1st training walk where all four of our team have all been together. We hooked up with my local Ramblers group to go on an organised walk over the fells around Staveley in the Lake District. Jeff and I met Paul and Debs at Wills Café for a pre-hike drink (and sausage sandwich in Paul’s case) and headed off around 10.15am for our hike. The weather was glorious and you can see our route and stats here. It’s bloody difficult to get 3L of fluid into my 3L hydration bladder once it’s installed in my pack. Next time I’m going to fill it first then install it. I also used some electrolyte tablets in the water – don’t know if they had much effect but as we’re told their good practice for Kili I figured I might as well get used to them. Carry some anti-inflammatory painkillers – one of our team twisted their knee and whilst we did have a bandage to strap it up none of us had any painkillers – a rookie mistake and already fixed by spending 79p in the local convenience store on the way back to the car. I’m fitter but not there yet – on some of the extended uphill sections I broke into a heavy sweat but had no problem keeping up the pace. Nor did I have post hike aches the day after. There’s a lovely craft brewery with bar and restaurant in Staveley – pity I was driving and so passed on having a beer. There are some photos from the walk on my Kilimattjaro facebook page. All in all a great walk and I’m looking forward to getting out with the team again soon. In the meantime I’m still getting in the gym about 3 times a week to work on my fitness.